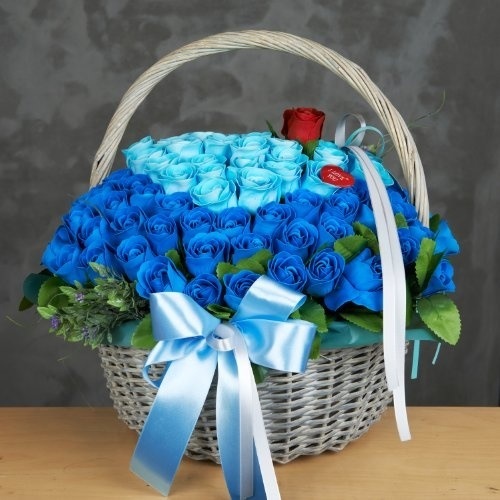 This Extra Large Blue Rose Basket arrangement has 40 Dark Blue roses and 20 turquoise Blue roses. One single red or white Rose is centred for effect. Ribbons finish this beautiful basket arrangement off nicely.